The hydraulic is the easiest to operate and most comfortable to use sod cutter on the market. With variable ground speeds - forward and reverse - and intuitive controls this versatile machine is the perfect workhorse for the weekend warrior to the seasoned pro. Best in class blade depth adjustment is set with a single lever and clamp at the user's operating position. 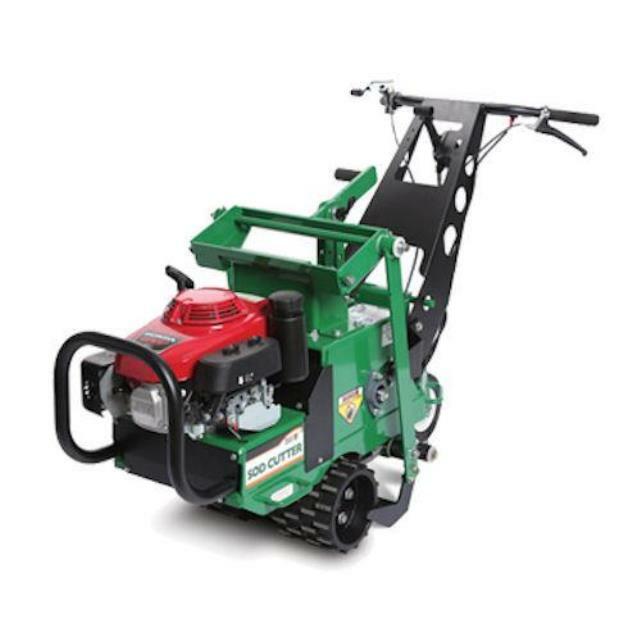 It saves time and provides precise cutting depths up to 2.5 inches for tasks including relocating sod, enlarging flower beds, creating new planting areas, as well as concrete flat work or other projects. The standard, rear swivel caster is perfect for curved work and locks for straight cutting. The variable speed is adjustable up to 3.5 mph. Click here for the Billygoat SC180 parts and operation manual.